Diamond Bar, CA (July 25, 2016) — Actor Sung Kang is rooting for “The Underdog” and is partnering with Shell, featuring Pennzoil, and SEMA for a winning edge. 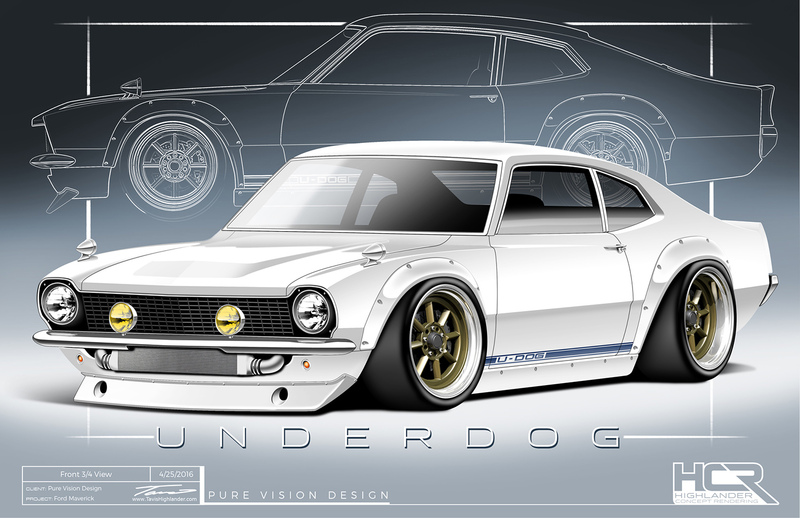 Kang, along with a team of aspiring young automotive technicians from Alhambra High School in Alhambra, CA, will work together to transform a 1972 Ford Maverick to debut at the 2016 SEMA Show in Las Vegas, NV. The vehicle represents what Kang describes as the ultimate “Underdog.” The build will be recorded and shared in an online video series filled with raw, behind-the-scenes footage, intimate conversations and real-time progress every step of the way, made possible by SEMA and Shell, featuring Pennzoil. Kang will oversee the project while students work hand-in-hand with industry veterans to restore and completely rebuild the vehicle. The completed vehicle will then be auctioned off to raise money for the SEMA Memorial Scholarship Foundation, which provides financial support to students pursuing careers in the automotive industry. Kang, who played Han in the “Fast and the Furious” movie series, captivated fans throughout the world last year when he documented and shared a similar vehicle build, the FuguZ 240Z, through videos in social media. Taking place at the SEMA Garage in Diamond Bar, CA, the build will be shown in videos posted on YouTube (in collaboration with GarageMonkey on their channel) and in Facebook (through Kang’s account). Viewers will see the project’s progression, the students’ development and perhaps struggles and mishaps along the way. “The car community has always saved a seat for me at the table and I’ve made a lot of friends who are legends in their own right,” Kang continued. Among those friends is award-winning builder Steve Strope, who will lead “Project Underdog ” and serve as a mentor to the three Alhambra High School students who have been specially selected from the Southern California area for the project. The final build, which is supported by Shell, featuring Pennzoil, and Ford Motor Company, Samsung, NITTO, GReddy, Rocket Bunny and Facebook, will debut at the 2016 trade-only SEMA Show on Nov. 1-4 in Las Vegas, NV. The term ‘Shell Lubricants’ collectively refers to the companies of Royal Dutch Shell plc that are engaged in the lubricants business. Shell Lubricants companies lead the lubricants industry, supplying more than 12 percent of global lubricants volume. * The companies manufacture and blend products for use in consumer, heavy industrial and commercial transport applications. The Shell Lubricants portfolio of top-quality brands includes Pennzoil®, Quaker State®, FormulaShell®, Shell TELLUS®, Shell RIMULA®, Shell ROTELLA® T, Shell SPIRAX® and Jiffy Lube®.